Every year in the fall, we find that our kids get entirely fascinated with the way the leaves change colours and fall to the ground. They’re still pretty young, so their curiosity about the world around them makes complete sense, but it always warms our hearts to see them looking around in wonder at the autumn atmosphere as we walk, just like they did when they could barely toddle along besides us. Being the crafty parents we are, always encouraging them to feel inspired by the things they love and take almost anything in life as an opportunity to get crafty, we were pleasantly unsurprised when they came to use and asked whether or not they could make something awesome using the leaves we’d just raked up together in the backyard. We loved the idea almost as much as they did, so we dove into an Internet search the way the kids dove into the leaf piles in the yard earlier, looking for as many cool ideas as we could possibly find so we can help them try their concept out. 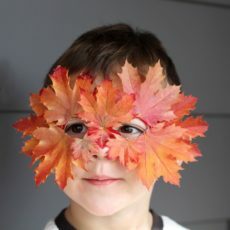 Just in case you and your kids are as enamoured with the idea of making different types of crafts and DIY projects out of real leaves as our household has been, if not more, here are 15 of the very best and most unique look ideas, designs, and tutorials that we’ve come across in our search so far! Are the leaves that your kids picked up in the backyard today that satisfying large kind that spread almost as wide as your hand and turn brilliantly orange, almost as if they’re an illustration rather than actual plants? Well, to us, it sounds like you have just what you need to make these fantastic cut and paste stye leaf foxes outlined step by step on Glued to My Crafts! We’ve already made these in our house this fall but we just happened to have googly eyes stashed away in a craft room drawer, so ours looked even sillier than these ones. 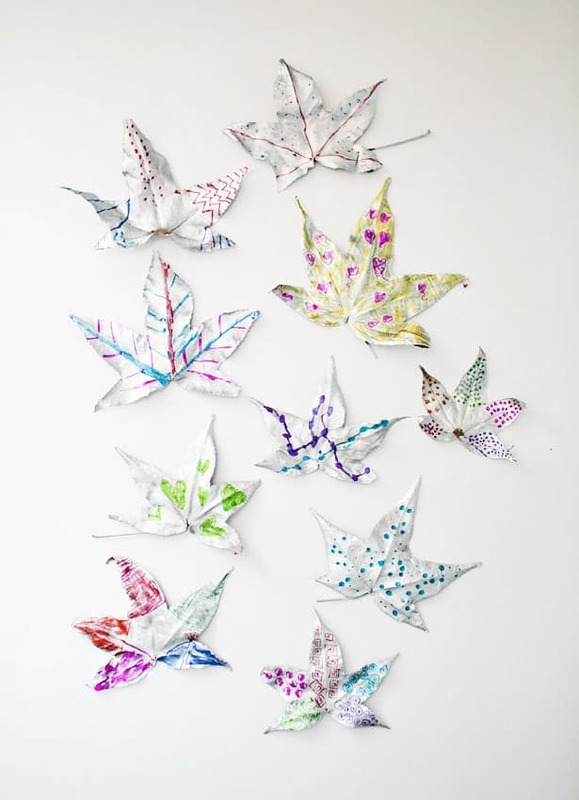 Are your kids actually a little bit older and starting to expand that kinds of crafts they’re into, getting more and more impressively artistic with each project you see them complete? Well, if they’re ever shown an interested in watercolour paints, then we think perhaps we might have found just the tutorial for you! 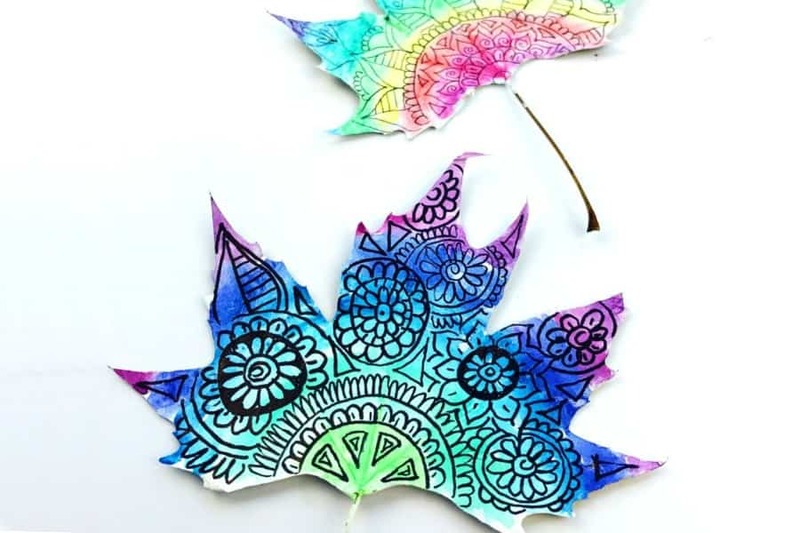 Check out how Colour Made Happy made this stunning watercolour leaf art by painting their leaves white, hand drawing mandala inspired patterns careful on them in black fine outlines, and water colour painting over the patterns however they please. Are your kids the kind of patient and detailed little artists who have always been willing to spend much more time and care on the projects they’re completing than a lot of your peers, making you more likely to let them do scissor heavy projects, particularly on small surfaces? Well, we’d personally still sit with them and supervise during this one, just in case, but we’d also totally suggest showing them how to make this adorable cutout window hanger by following the letter instructions outlined on Pop and Thistle fur carefully cutting shapes right out of the leaves! If you’re going to get your kids creative with things they can find around the house, all with a fall theme, why not get them working on those pumpkins you bought last week but haven’t carved yet? We love finding new, unique ways to customize or decorate pumpkins besides just carving them into Jack-O-Lanterns because we always buy more than we need, so it’s fun to dress up the spares that we don’t need for carving, just for some extra autumn decor! We can’t get over how much fun this painted pumpkin and leaf decoupage project from The Sweet Escape looks. 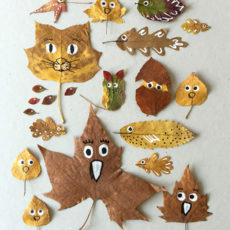 Were you very intrigued indeed with the idea of using the dried leafs from your yard to do some kind of cut and paste style craft, but you’ve actually already made animal based crafts this week, so you’re looking for another simple concept to work with? In that case, we’d absolutely suggest taking a look at how Glued to My Crafts made faces using foam, googly eyes, pom pom noses, and glitter glue smiles, topping the whole character off with fall coloured leaf hair! 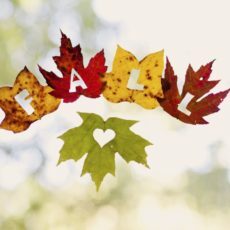 Whether you’re actually working with fallen leaves that the kids found in your backyard or whether you purchased a pack of faux leaves from the dollar or craft store so you could make all kinds of crafty fall things, this next idea will work no matter what, and it’s a whole lot of fun! 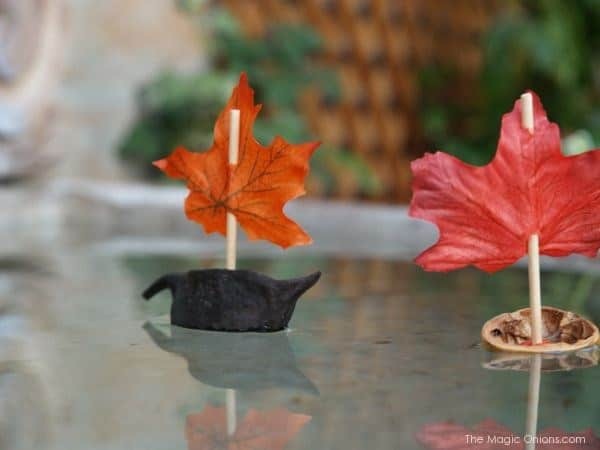 Check out how The Magic Onions teaches you to make adorable little fall themed sail boats by topping all kinds of floating things with a “sail” made from your leaves. Hav you ever seen projects that use actual silver leaf and adored just how metallic and shining silver the finished product is? Well, this actually isn’t one of those projects, but it is like a kids’ version of more advanced techniques that will let them have all kinds of crafting fun! Check out how Hello, Wonderful got literal with their craft and wording by using actual silver paint to turn actual leaves silver, adding detail and colour using markers once the silver has dried. If you’re a parent to kids who have always been crafty, then we’re sure you’re no stranger at all to the idea of making wooden clothespin crafts. There are, after all, almost endless possibilities out there for turning your pins into all kinds of funny characters! 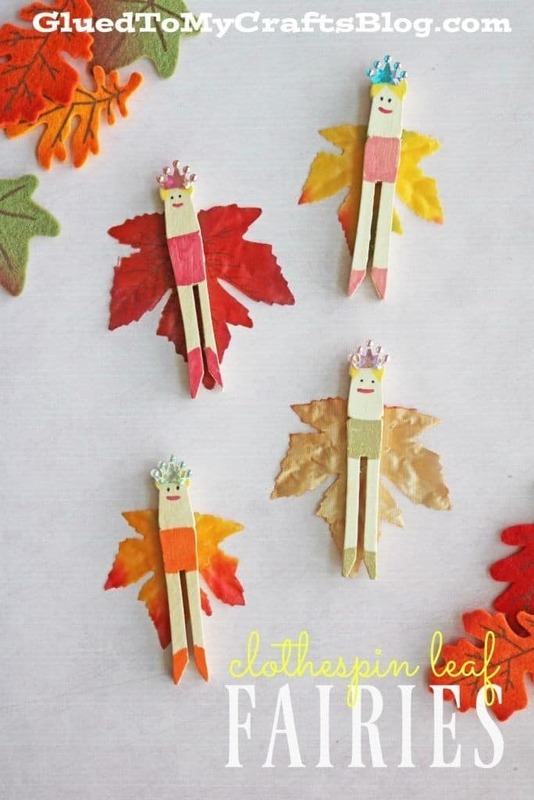 As you can probably guess, however, we simply adored seeing how Glued to My Crafts turned their wooden pins into cute little fall time fairies by using leaves to make their wings! With Halloween coming in just a few weeks, are your kids getting even more into the spirit of playing dress up than usual, regardless of whether they’ve cooked up what they actually want to be when they go Trick or Treating or not? Well, we recently helped our kids make these fantastic dried leaf masks outlined on Small Friendly and now we can’t get enough of watching them run around like they’re some kind of seasonal super heroes! Did we actually really catch your attention when we started talking about the concept of strategically gluing down and embellishing leaves to make funny little foxes but your kids liked the idea so much that now they want to make all kinds of animals by piecing different kinds, colours , and shapes of leaves together? Then we definitely think you should take a look at how My Owl Barn made that precise kind of craft happen in all kinds of cute ways! 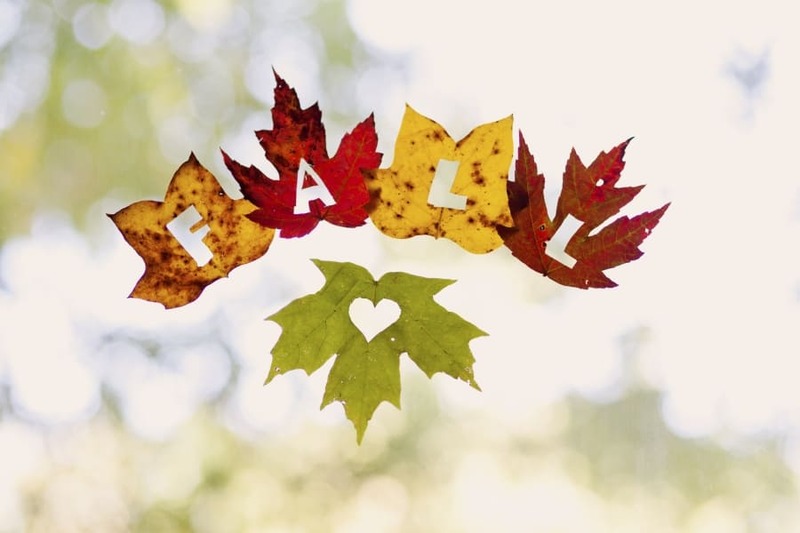 Are you actually a little bit short on leaves because they’ve only just started falling where you live, or perhaps because it’s raining outside but your kids want to craft now, so you’ve only got the spares from yesterday’s leaf craft to work with? 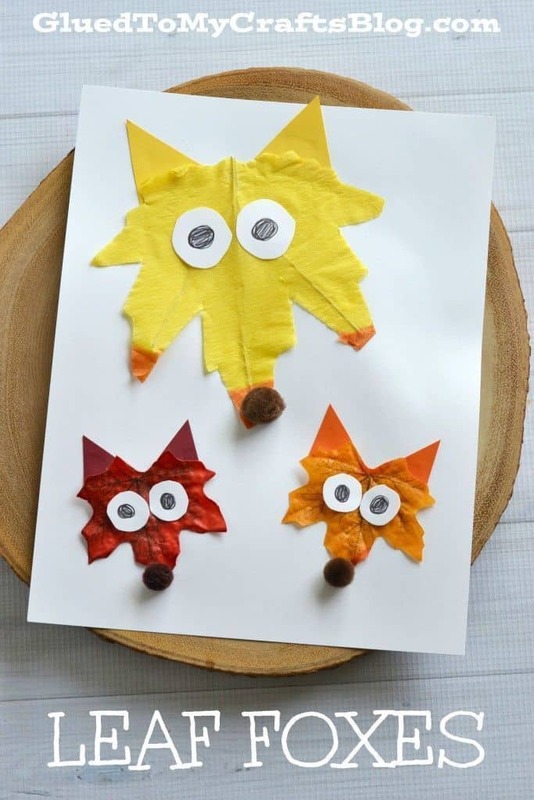 Well, you can totally still make all kinds of funny leaf animals by getting crafty in a slightly different way than the ideas we showed you previously! 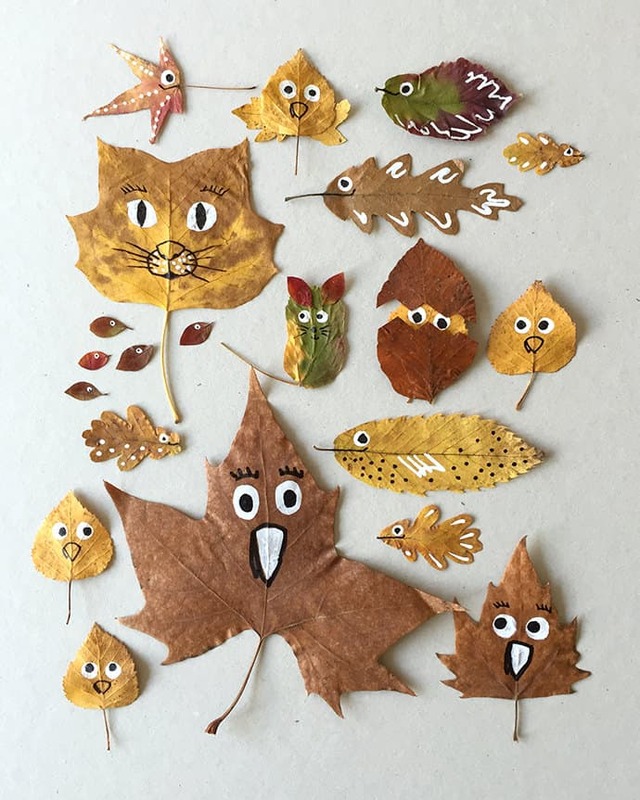 Check out how Handmade Charlotte made each individual leaf into some kind of bird or critter by painting different animal faces on differently shaped leaves. 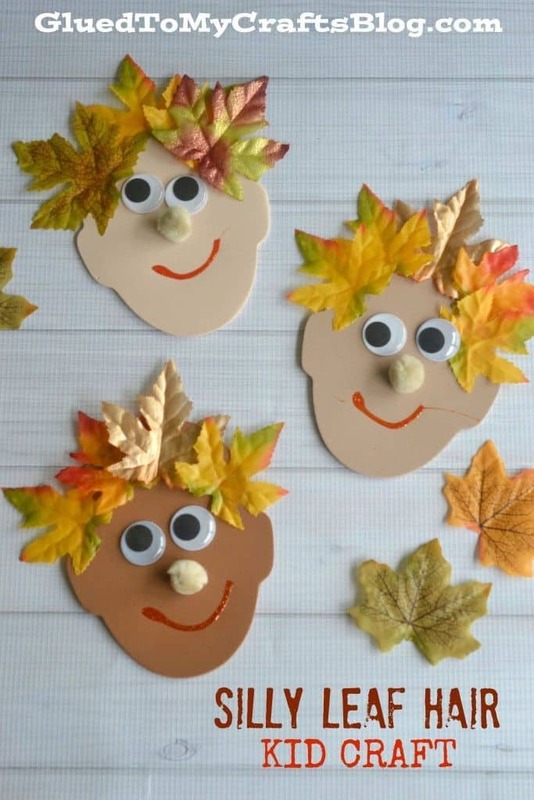 Now, we know it’s not quite time for Thanksgiving yet, but that doesn’t mean it’s not productive to start looking for awesome Thanksgiving themed craft ideas nice and early! We like to bookmark seasonal and holiday crafts whenever we find ones we like, saving them for later if it’s not the right time yet. 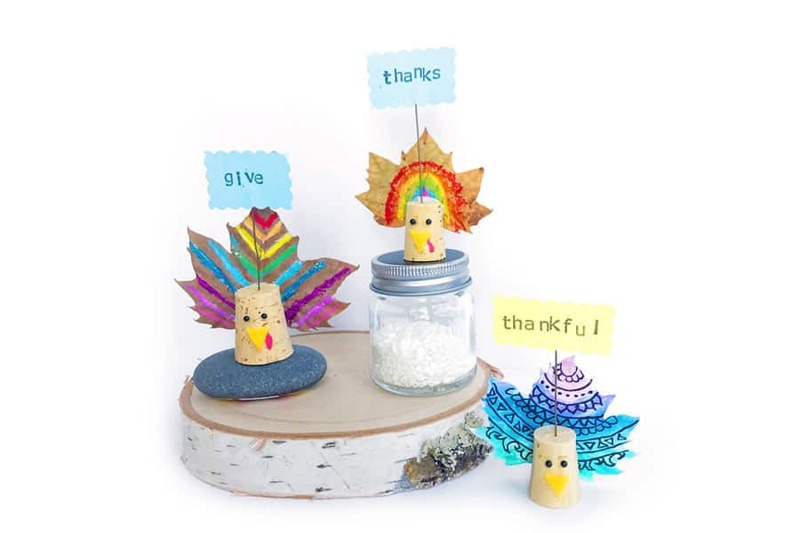 In any case, we think these cute little cork turkeys with decorated leaf tail feathers featured on Ooly make for a super fun craft no matter where you come from. 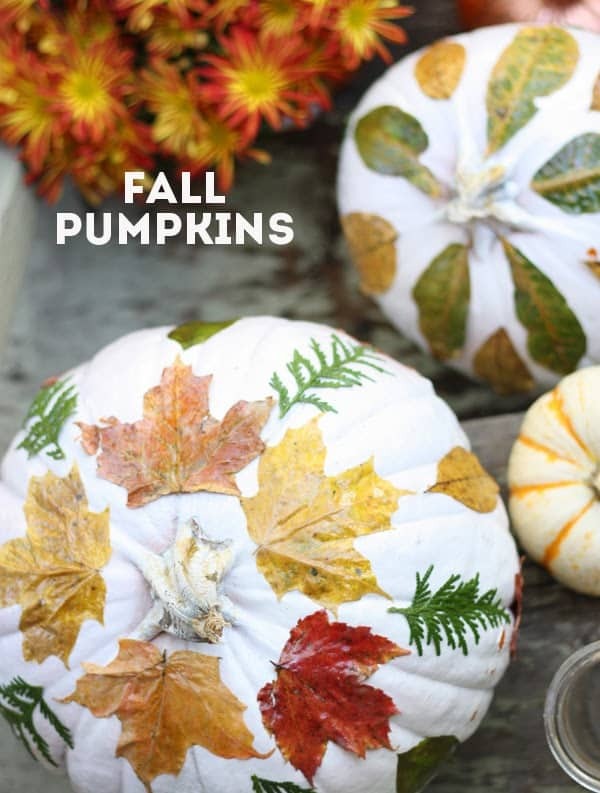 Were you perhaps very intrigued indeed by the idea of doing a little bit of careful leaf decoupage but you don’t have enough pumpkins this year to use one unless a family member gets left out of carving Jack-O-Lanterns? Perhaps you actually just had something a little more delicate in mind that your kids could help with but that you’ll ultimately get to enjoy when you put it on display in your home. 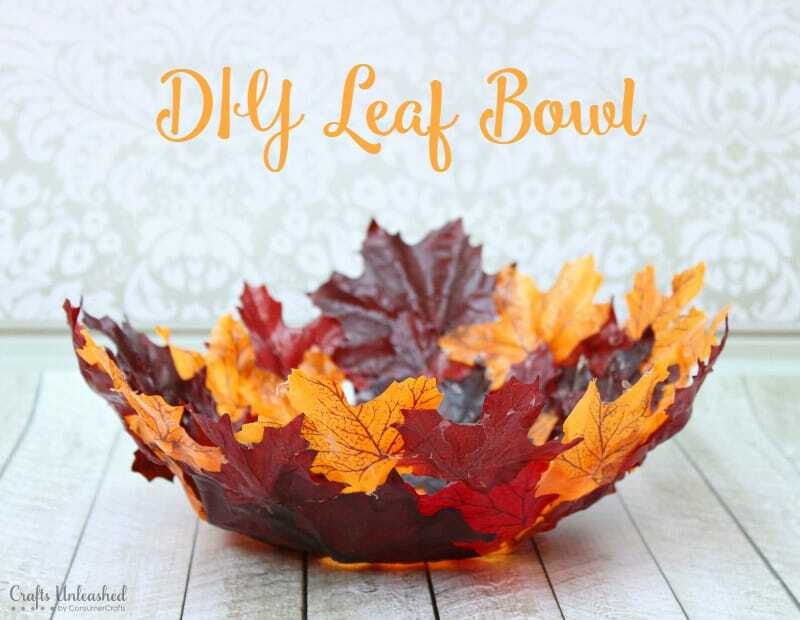 Either way, we’d absolutely suggest taking a look at how Crafts Unleashed made a stunning leaf bowl using similar glue techniques to the ones we showed you before! 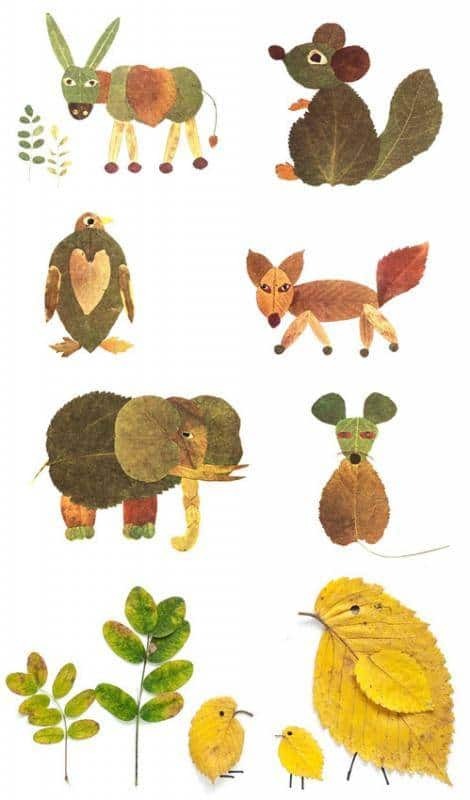 Just in case you still haven’t quite found a leaf animal tutorial that looks entirely right using the particular shape of leaf that falls in your backyard or in the parks and streets around your house, here’s another idea for your consideration, just in case your leaves are a little spikier! 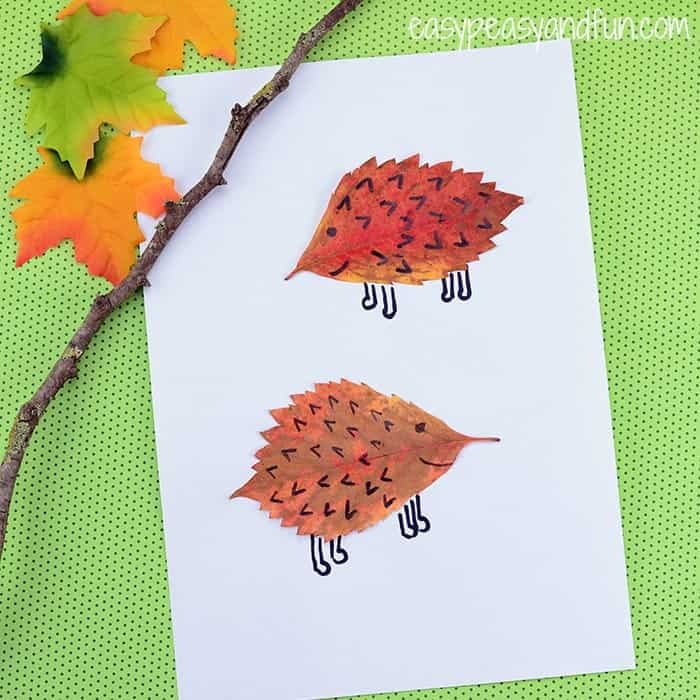 Easy Peasy and Fun shows you how to turn the leaves on their sides and add adorable little features with a marker in order to make a hedgehog or two. Perhaps the fact that leaves come in all different shapes, colours, and sizes, in just about any combination, is actually the thing that your kids love most about them? Well, working with what caught their attention about the unique plants might actually be a great way to keep them amused for double time. 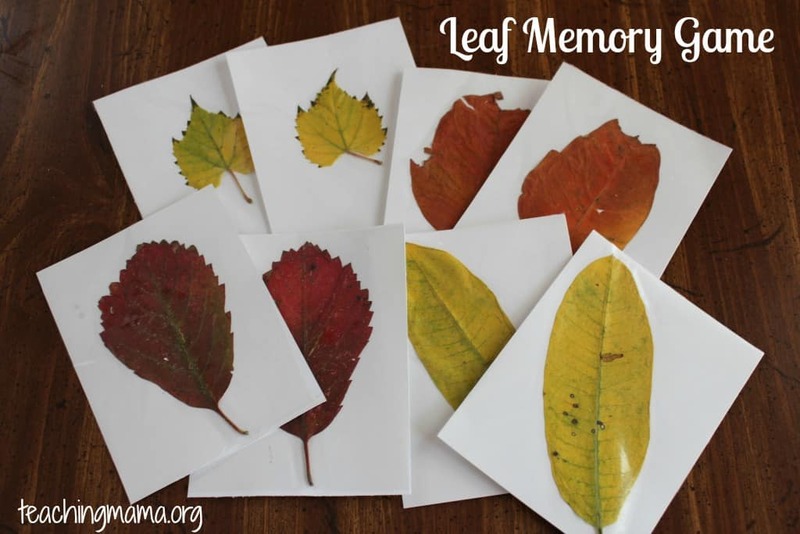 This fantastic memory game where you match two leaves that look the same, as outlined by Teaching Mama, is the perfect example of what we mean; your kids will have a blast helping you make the flashcards and then continue enjoying them afterward by using them to play a game! Have you made other awesome and super amusing leaf crafts before that your kids really enjoyed but that you don’t see here on our list? Tell us all about what you created and how you did it or link us to photos of your finished work in the comments section! 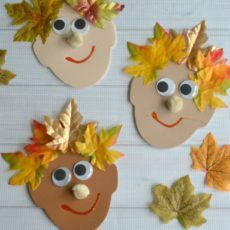 The post 15 Kids’ Crafts Made with Leaves appeared first on DIYs.com. Popular Instagram Lily Pad tile is now available in a cheaper option!